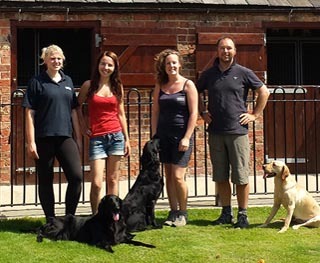 Here at our dog boarding kennel we are all very passionate about dogs,I myself have owned and trained dogs for over 25 years! 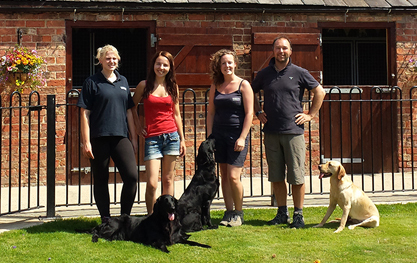 We have 2 Gun dogs that live in our kennels and 3 that live with us here in the house. 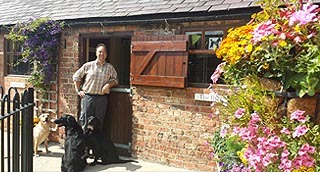 The boarding kennels and grooming parlour give us the opportunity to meet a huge range of dog breeds, from Schipperke's (Belgian barge dogs) to Irish Wolf Hounds and Entlebucher Sennenhund's (swiss cart dogs) to Newfoundlands. The list goes on ! After a long search for the right property, I finally found 'New Derrings Farm' and knew straight away it was perfect for a small exclusive dog boarding and training kennel. 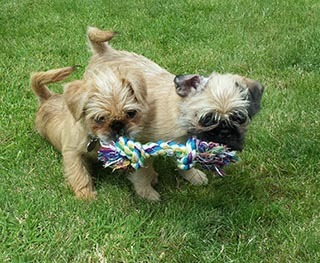 In 2002, Derrings Kennels was established. This wasn't and still isn't a diversification from another business. 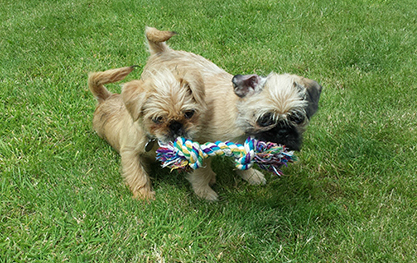 Looking after dogs is what we specialise in and enjoy doing all day, every day. Our shop opened in 2007 and has been a great spin-off to the boarding kennels because many people buy from us rather than hauling their own. We stock a good range of food, toys, beds, dog grooming accessories, leads etc... at competitive prices. For example a few of the brands we stock are Wagg, Sneyds Wonderdog, Supadog and James Wellbeloved. We also keep stocked up with a large range of treats such as pigs ears, bonios and lots of rawhides. My dog is a regular visitor to Derrings. She always bounds out of the car and is keen to go in. Like us on facebook to see up to date pictures and information! Please feel free to email or phone regarding any further information!! © Copyright Derrings Kennels 2015. © Copyright 2019 Derrings Kennels. All rights reserved.